ACCESSIBLE OUTDOORS: Kids with Social, Emotional and Physical Disabilities Go Outside! Accessible nature outings are all around us, there for the taking, for the children who stand to benefit from them the most. Whether you’re sharing the outdoors with an individual, family, social or school group, it’s exciting to watch these kids develop new coping strategies and shake loose the grip of their symptoms while they enjoy, explore, play and connect in nature. The York Region Nature Collaborative (YRNC) is a new organization dedicated to enhancing experiences for children to learn in nature and to develop an ecological identity. We are grateful for the sponsorship of the Toronto and Region Conservation Authority http://www.trca.on.ca/ in providing us with the venues that support learning in nature for young children, families and educators. We launched our first event “A Family Adventure Walk in the Forest” in October 2014 and with over 200 children and their families we celebrated nature through play and inquiry at the beautiful Kortright Conservation Centre http://kortright.org/. Inspired by the day and the desire to offer more events for free for children and their families, we are planning a conference for educators – May 23rd, 2015 with the renowned author and early childhood educator, Ann Pelo. The three videos in this collection highlight and showcase selected examples of significant learning in the birth-to-three-years period. The aim is to make babies’ and toddlers’ learning visible and, by doing so, to expand awareness and appreciation of it. As a result, professionals will look more closely, reflect on what babies’ and toddlers’ behaviour means, adopt an image of babies and toddlers as capable and competent learners, and enact this image in their work. Download the information booklet to read more. Inspired by the late Fraser Mustard, a report was recently released regarding the progress of early childhood education in Canada. This report provides a stark contrast between this remarkable man of science and one of our nation’s leading evidence-avoiders, Stephen Harper. 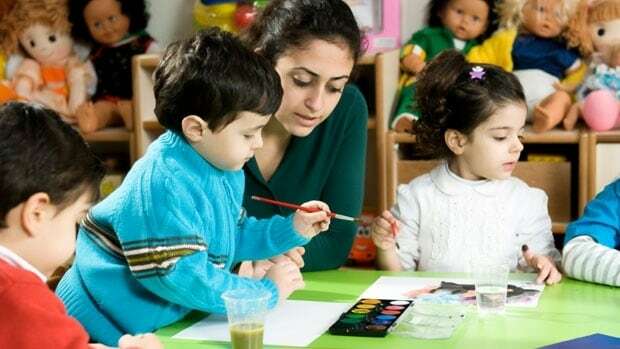 The Association of Early Childhood Educators Ontario (AECEO) commends the government’s actions to improve child care in Ontario with the new child care legislation put forward in Bill 10, the Child Care Modernization Act. The short notice and limited time for formal consultation on the proposed legislation is disappointing, as this is a once in a generation opportunity to fundamentally change the state of early childhood education and care (ECEC) in Ontario. The AECEO is hopeful that the government will engage in a more comprehensive consultation process with the ECEC sector to establish a new regulatory framework for child care programs in Ontario. The protective measures put forward in Bill 10 are necessary to ensure the basic health and safety of Ontario’s children. These measures, however, do not move away from a complaint based process for monitoring illegal and unsafe unregulated home child care. The AECEO believes that all children should have access to regulated child care and that the government should make immediate plans and investments to create more high quality regulated child care spaces. 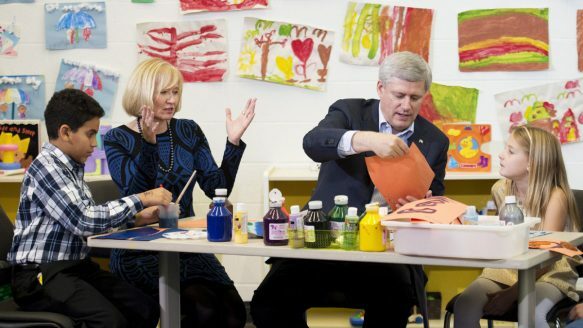 New legislation is a necessary component of a high quality child care system. However, legislation alone is not sufficient for the development and sustainability of a high quality child care system. In addition to new legislation, we urge the government to undertake a more robust policy process in order to develop a comprehensive policy framework that lays out the province’s intentions, rationales, short and long-term plans, and funding and evaluation mechanisms for a system of regulated child care. On December 2, 2014, Bill 10, the Child Care Modernization Act, 2014, passed third reading in the Ontario legislature. The legislation will strengthen oversight of the province's unlicensed child care sector and increase access to licensed child care options for families. In addition, it will allow the province to immediately shut down a child care provider when a child's safety is at risk. Gives the province the authority to issue administrative penalties of up to $100,000 per infraction by a child care provider. Increases the maximum penalty for illegal offences under the act from $2,000 to $250,000. Increases the number of children a licensed home-based child care provider can care for from five to six. Clarifies what programs and activities are exempt from licensing requirements, including care provided by relatives, babysitters, nannies and camps that provide programs for school-age children. Requires all private schools that care for more than five children under the age of four to be licensed as a child care centre. Amends the Education Act to ensure school boards offer before- and after-school programs for 6 to12 year-olds where there is sufficient demand. Much has been written about play. It is generally agreed that it is one of the most complex activities we engage in. In this information sheet we endeavour to draw together the most widely respected statements on play to provide a rounded and comprehensive analysis. Fa m i l i e s i n C a n a d a desperately need access to early childhood education and child care services that only a comprehensive system can provide. The key to building this system is the same today as it has been for many years: The federal government must step up to the plate. Provincial/territorial programs on their own will continue to evolve in painful, slow steps leaving many parents unable to find or afford quality programs for their children. As this discussion document shows, it doesn’t—and shouldn’t—have to be this way. Read on to see what federal leadership and dedicated, accountable investment in a child care system could accomplish by 2020.
Who doesn't want the education and care for young children to be high quality? Parents look for it, advocates fight for it, policy makers debate it. But just what is it? 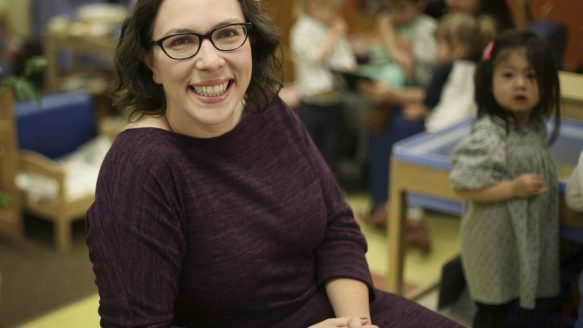 Quality has remained somewhat of a black box in early education, but a just-released study conducted by New York University researchers is opening up the box. They tested the impact of a curriculum based on findings from neuroscience revealing that promoting executive function life skills enhances children's engagement and success in school and in life. From the moment they come into this world, boys have an appetite and energy that does not stop. One minute they are laughing and playing together, the next they're wrestling and fists and toys are flailing across the room. As a mom of two boys, I admit at first I did everything to keep the peace and prevent any and all outbursts, outbreaks and outlaw-ish behavior. I didn't want to raise rough, rowdy boys, instead I wanted sensitive, respectful and loving young men. Not that I have given up on the sensitive, respectful and loving part — which they most definitely can be — but it took a while to accept that boys need opportunities that allow them to be boys. It's in their DNA to run, wrestle and conquer and they will do anything to be king of the mountain even if it is just a pile of dirt. Boys need space to do the things boys love to do, and an outlet to release the unbelievable amount of energy they have. Fortunately, the outdoors has the space and nature has the patience and durability to let boys be boys.